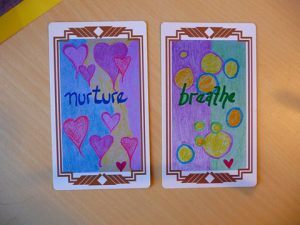 Welcome to the LIVE Online Oracle Cards Level 2 Class! Payment information is at the bottom of the screen. Once you click the “Buy Now” button you’ll be taken to a paypal screen. If you don’t have paypal, just look to the bottom of that screen’s message to find the pay by credit cards (not paypal) option. Payment is required before we begin thanks. I’ll be sending you the call in information and the link to our interactive facebook group for this class by email before we start. In addition, you’ll probably want to have a pen and paper handy. I can be reached at dinakennedyinfo@gmail.com if you have any questions, thanks.